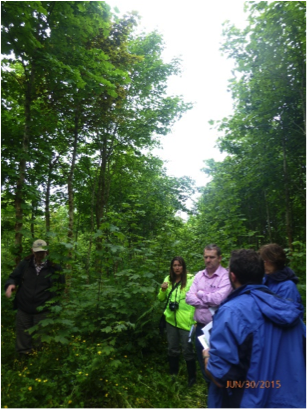 This visit took place between the 24 and 27 June as a joint effort of ProSilva Ireland and the Continuous Cover Forestry Group (CCFG) UK. During our visit networking and discussion between members of the two groups were a very positive feature and hopefully something that will continue in future tours. 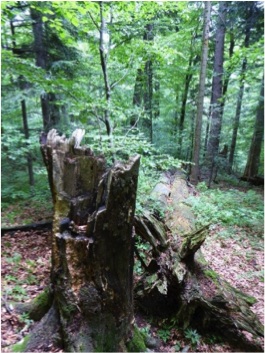 “Obroźyska” reserve – A coppice with standards Lime (Tilia cordata) forest. Szczawiczne – conversion of Scots pine nurse crop to stand composed of target tree species (Abies alba, Fagus sylvatica and Picea abies). The sections below attempt to capture the main topics from the many discussions we had during our forest visits. 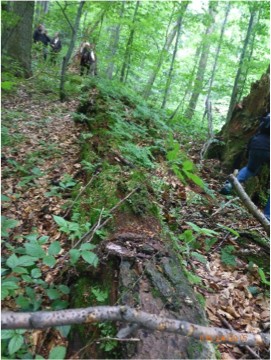 The Labowiec reserve has been left to evolve for the last 100 years with regular monitoring as way to learn about natural forest development processes. 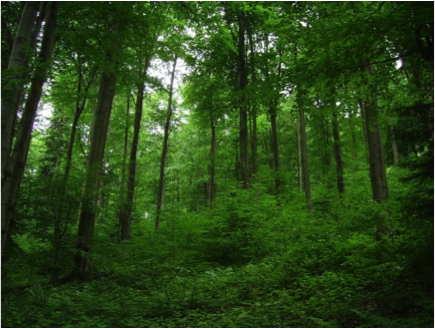 It is now a magnificent forest with both high levels of biodiversity and volumes of quality timber. It also seems very resilient: a sharp decline of silver fir took place some 10 years ago (acid rain?) and now seems to be making a come back. Dead wood is now 40-50% of stand volume. Increasing deer browsing is a growing problem as it removes most trees’ natural regeneration. 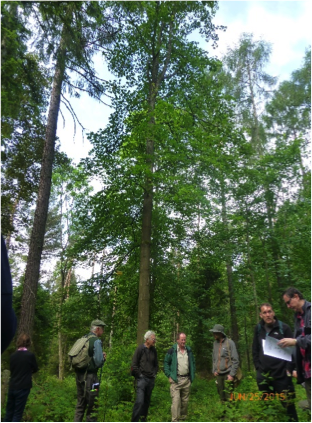 In most of the forest visits the management strategy relied on the strong ability of key species to regenerate under an existing canopy (shade tolerance ) such as silver fir, beech, norway spruce and sycamore. Also, a strong broadleaves component was always present as important for soil quality through its litter deposition. -importance of a broadleaves component in conifer stands for soil nutrients cycle and biodiversity (= stability). 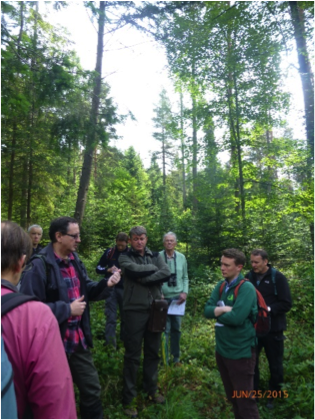 Of great interest was the Szczawiczne forest visit. Here foresters started from a green field site 60 years ago with the objective to establish a semi-natural forest (Abies alba, Fagus sylvatica and Picea abies ). 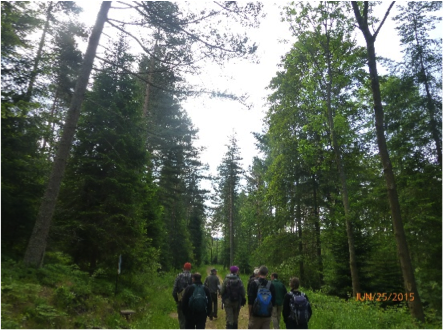 Foresters instead of taking the “direct route” by planting target species took a “successional” route and planted Scots pine as a nurse forest. 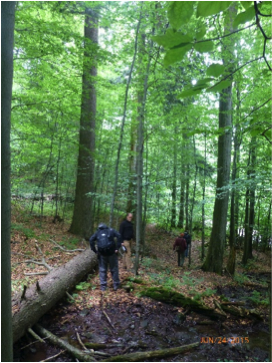 60 years later foresters are now “coupe” harvesting and regenerating (planting and natural regeneration) with beech, Norway spruce, sycamore and silver fir. -The importance of considering the long term natural development process when planting a green field site (soil biology development and micro-climate development) by using pioneer species stands or pioneer species in appropriate mixtures with later successional species. -Is this a reason for a reported general poor performance of “climax” Irish broadleaves new plantations (oak, beech, sycamore) often planted pure on green field sites? At a Teagasc workshop in Ireland remediating techniques for poorly performing broadleaves plantations involves stumping back sections of plantations and singling the new shoots, as well as inter-planting with complementary species (alder). Results are promising with strong and quality regrowth due to microclimate and improved soil dynamics since planting. 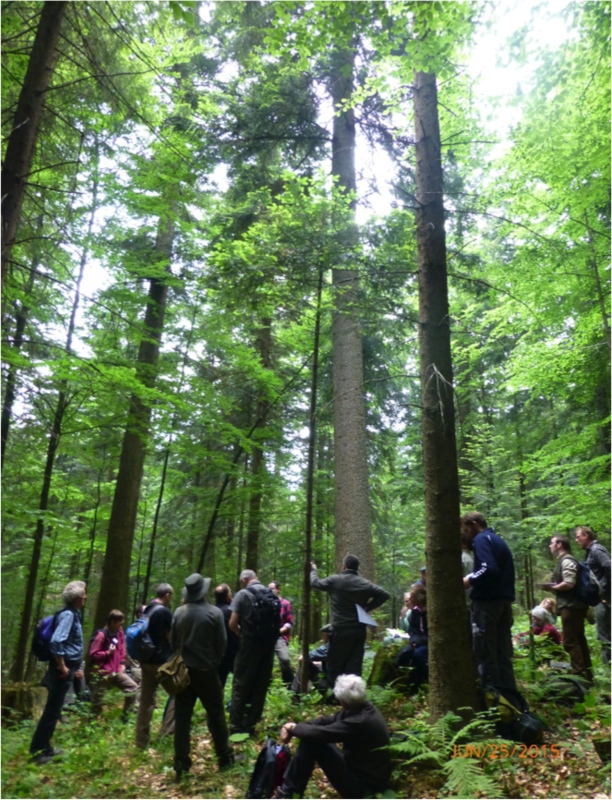 The great learning value of long term forest monitoring programmes. The relative simplicity and flexibility of the management system of apparently very complex stands. The high level of species and structural diversity found within this timber production system that offers a great landscape and added value to the local community (well-being and tourism). The comparative smaller scale of harvesting operations in complex stands that offers opportunities for large number of local people to get involved in the tending, harvesting and also enjoyment of the forest.